Shahrukh Khan in a Whole New Avatar: We all know him for his swashbuckling acting, we know him for his jaw-dropping stunts. We also know him for his stupendous dance moves moreover, we know him for his signature style of lifting his arms up in the air and a romantic song emphasizing that gesture of his in the background. We have a notion that in Bollywood, Shahrukh Khan is a synonym for romance. Nobody does it better than him. No doubt he has won 14 Film fare, 9 Star Screen and 3 IIFA awards. Let’s see what actually SRK has lined up for us which he says is the bizarre role he has ever done till now. For all those who were scared to come out of their comfort zone and play the challenging roles, irrespective of his age Shahrukh Khan has proved them why he is called as the “Badshah Of Bollywood” by playing those roles with acute perfection. Be it the role of the gangster in his recently released movie “Raees”, or a role of a guy who is prone to Asperger’s Syndrome in the movie “My Name Is Khan” which won critics acclaims all over the world. Now, brace yourself for Shahrukh Khan is bringing to you another avatar of him on the silver screen. No, he’s not playing any student’s character, on that note those who are writing CAT Exam please concentrate on your studies. He has got something else lined up for the audience which nobody would’ve ever thought of doing in recent times. How many of you know that “Red Chillies Entertainment” a Shahrukh Khan Productions is the first Indian Production House to have a fully upgraded VFX studio and team. For your kind information it is based in Mumbai and recently they also had a campus selection for the engineering students from the Top Engineering Colleges in Pune. 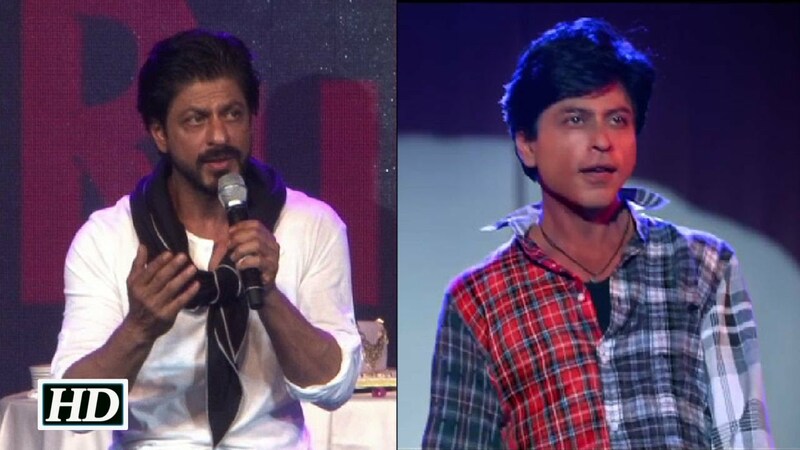 Coming back to VFX, we have already seen how fascinating it was to have SRKplay his double role in the movie “Fan”. It was all possible because of the VFX. Now he is all set to bring another masterpiece out of his Pandora box which is going to create Box office Tsunami.Okay, it’s high time now that we should break the suspense. Here you go, Shahrukh Khan and Anand L Rai (who is the director of the film) is bringing the story of a “dwarf”. Yes “Dwarf” and it is being played by none other than Shahrukh Khan. Who said that superstars don’t experiment with their roles? Have a look at this guy he is proving it wrong every time playing such challenging roles. The movie is titled as “Zero” which is scheduled to release on 21st December 2018. The movie also has two female lead roles and is being played by Anushka Sharma and Katrina Kaif respectively. It is a romantic drama which revolves around Raj (Shahrukh) who falls in love with one of the most wanted ladies on the earth without knowing the reparations he might have to pay in return. So that’s it, folks, this December let’s see what “Zero” has for us in the name of entertainment.